Cierra is a nationally published wedding and portrait photographer. A southern belle at heart, Cierra was born and raised in the eclectic city of New Orleans, LA. 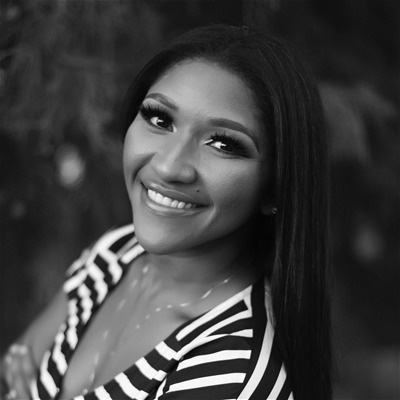 In business 8 years, Cierra has been featured in Grace Ormond, New Orleans Weddings Magazine, Munaluchi Bridal Magazine, The Coordinated Bride, The Wedding Safari, and The Chic Brown Bride, to name a few. When it comes to her style of photography, Cierra considers herself to be very intimate. She focuses on important details, moments, and meaningful visuals unique to her eye. Overall, she has a love for chic elegance with an edge, but loves a touch of tradition.